Wacky Wednesdays – Smith Sisters! Though I’ve largely retired it as a semi-regular column, I recently had reason to bring back Wacky Wednesdays – at least for today’s post on the 1974 parody sticker classic, Smith Sisters! M&M/Mars’ 2001 Valentine’s Candy Sales Catalog! Happy Valentine’s Day! Marking the holiday today, I will be sharing an M&M/Mars Valentine’s sales catalog from fifteen years ago. Make the jump to check it out. Reese’s Footballs for Superbowl Sunday 2016! 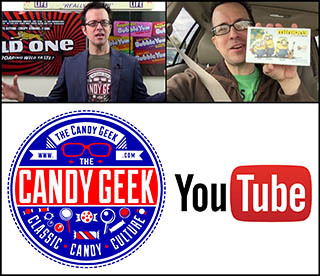 Celebrating Four Years of CollectingCandy.com with Four Fun Discoveries!